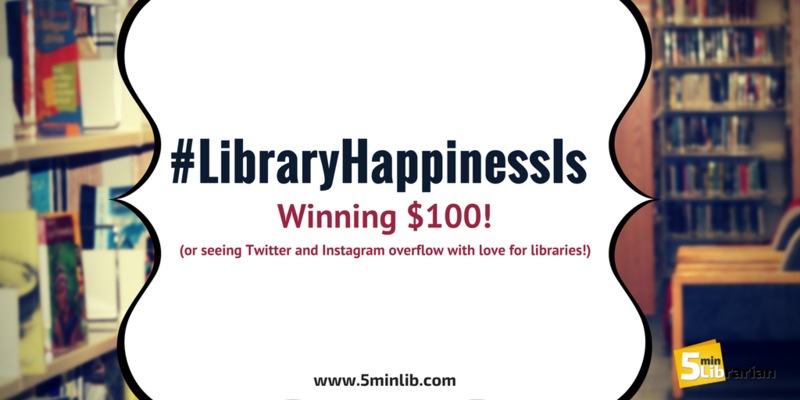 5 Minute Librarian: #LibraryHappinessIs Winning $100! 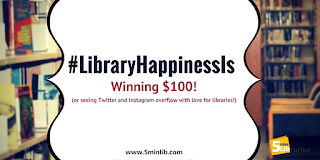 #LibraryHappinessIs a chance to win $100 and a Sally READ poster! 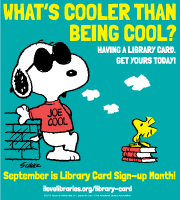 ALA is running a fun campaign during library card sign-up month. From now until noon September 22nd, patrons and librarians are encouraged to share what library happiness means to them on Twitter, Instagram, or the I Love Libraries Facebook page. Tweet, post a photo, or make a short video and use the hashtag #LibraryHappinessIs. One random winner will be selected at the end of the month! And if you aren't already participating in September's Library Card Sign-Up month, head on over to ALA's official page. Snoopy is the official spokesdog and they have lots of free goodies for you to use! Let's all participate in the fun! How wonderful would it be to see Instagram and Twitter trending with #LibraryHappinessIs? For us, that'd be just as awesome as winning the grand prize. New Facebook Groups for Librarians!